This is the season of freshness. A time when the land’s bounty is in full bloom. This year, make an effort to buy all produce from your local farmers. Not just because it supports them, but also because it will support you and your health in a big way. As soon as June hits, I no longer buy produce from the grocery store unless I need or want something I can’t get locally (like bananas). 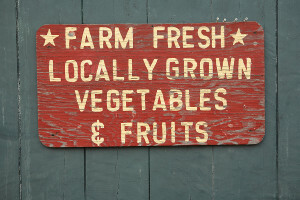 This means everyday is like an adventure as I head off to the farmer’s market or a local farm to see what’s for dinner. This is the way the Europeans shop, and it should be your new way also. This little change in your culinary routine could open up a whole new world of possibilities for the palate. What you see in your local food store varies very little from week to week. However, when you visit a farm, the offerings change almost daily. It’s all about what’s in season and what is fresh. Start to notice how many different varieties of lettuces there are, or grapes or squashes. Make it a habit to add something new to your basket every week. This is a great way to add some much needed variety to your meals. Everything that is displayed has most likely been picked within the last 24 hours. Often, it may have been picked just hours before! If you doubt a difference in taste from store-bought to just grown, try it and see. Also, understand that as soon as anything is picked, pulled or plucked from the ground or a tree, it starts losing its nutrients within minutes. Instead of eating food that is “barely there”, you could be eating foods that are full of life and energy from the earth and the sun. Your body will definitely feel the difference. Don’t forget to check out the other offerings like free-range eggs, local honey and organic dairy products. In fact, grab a bouquet of freshly picked wildflowers to complete your experience. In the end, it is all about you and how healthfully you want to live. Enjoy the succulence of life! It’s out there; embrace it. 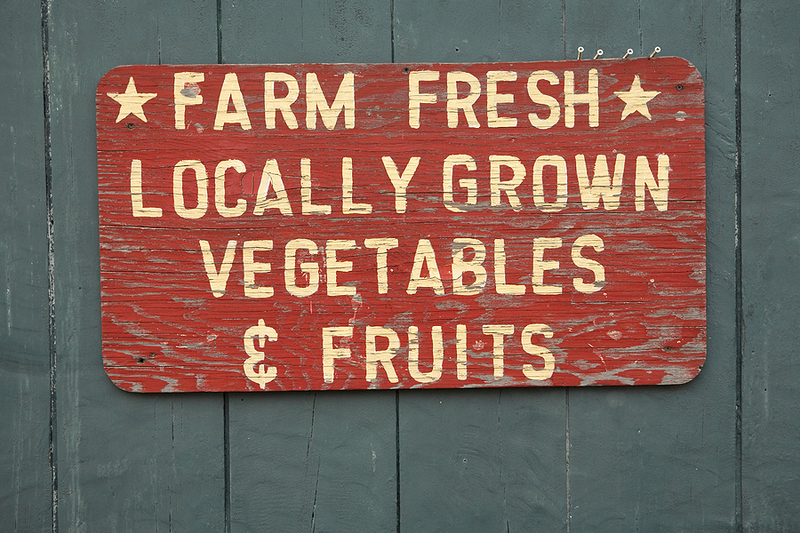 What do you love most about the local farms and farmer’s markets?